Welcome, to the Athenaeum House Hotel uniquely set in the vein of a country escape, yet overlooking the twinkling lights of Waterford City. All guests staying in this lovingly restored 17th Century Georgian House find that life at the hotel is easy going. Guests feel at home as soon as they arrive. Our team plays a big part in what makes the Athenaeum House Hotel experience distinctive. You’ll find them friendly, attentive and always willing to look after the smallest detail, providing an impeccable level of service that only a small, privately owned hotel can provide. Our 4 star boutique hotel is a popular location for business people, and for visitors who love shopping, golf, surfing, cycling, walking, fishing, horse riding or who wish to visit the new House of Waterford Crystal Factory and Show Rooms or Viking Triangle. 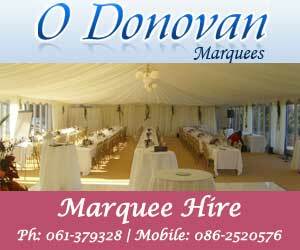 Come out and visit us and see why we are the best wedding venue in Waterford. As we always say, "Each wedding is unique and special for the couple celebrating their day of union." Therefore the hotel endeavours to do all it can to provide the best backdrop and setting possible to ensure a truly memorable wedding day. Athenaeum House Hotel Waterford offers an exclusive and unique wedding venue for your special day. With only 29 bedrooms, a license to hold civil ceremonies and exquisite food, the Athenaeum House Hotel is the perfect wedding venue to hire exclusively for you and your guests to celebrate your dream wedding. We specialise in romantic and personal weddings with a highly distinctive and relaxed atmosphere. Your wedding arrangements represent a very personal statement. We can tailor make your wedding to suit your wedding theme whether classical, modern or based on your own personal creative ideas.